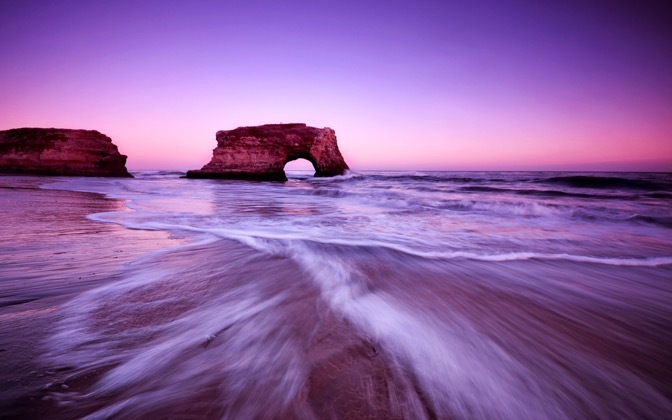 A great photo spot at Natural Bridges State Park outside of Santa Cruz, California. I used my Nikon D3100, Sigma 10-20mm, lens, some cheap GND filters and a tripod. I had to time my photo within the sets so the tripod didn't get knocked over. Nikon D3100, Sigma 10-20mm F3.5 EX DC HSM lens. Send a Private Message to the Artist of "Arch On The Water"